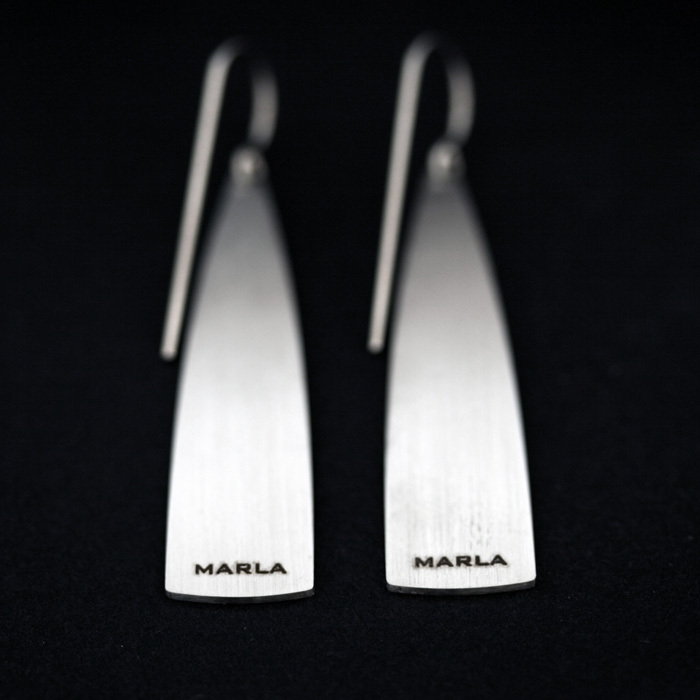 These limited edition earrings are available exclusively through Rainmaker Gallery. 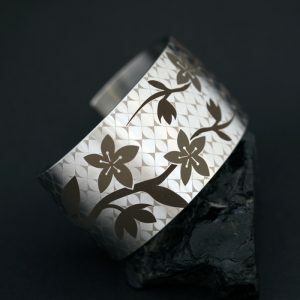 They are designed by Laguna Pueblo artist Marla Allison and expertly engineered in laser etched stainless steel by celebrated contemporary Native jeweller Pat Pruitt. 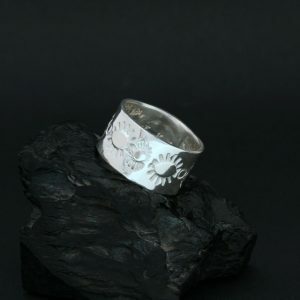 The design comprises of birds on a background of cloud pattern inspired by Laguna Pueblo pottery. 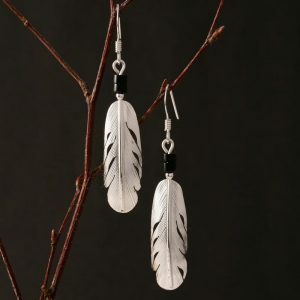 Only five of these pairs of earrings exist. Pat Pruitt’s jewellery can also be seen on permanent display at the British Museum. 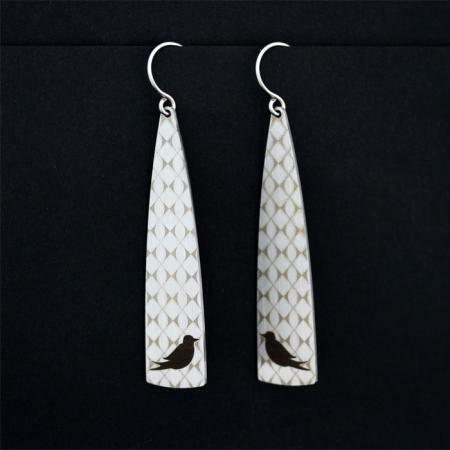 These limited edition bird earrings are available exclusively through Rainmaker Gallery. 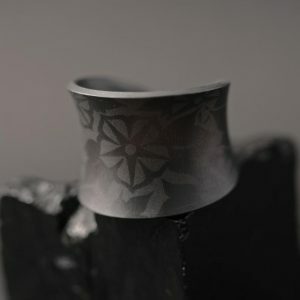 They are designed by Laguna Pueblo artist Marla Allison and expertly engineered in laser etched stainless steel by celebrated contemporary Native jeweller Pat Pruitt. The design comprises of birds on a background of cloud pattern inspired by Laguna Pueblo pottery. 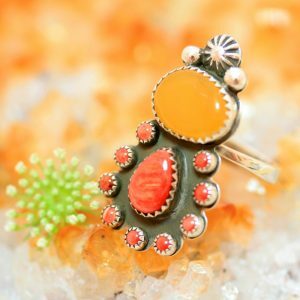 Only five of these pairs of earrings exist.